Since early 2018, Dongfeng Motor Parts and Components Group has been intensifying its efforts in overseas marketing. After attending the Auto Spare Parts Exhibition in Vietnam earlier this year, it attended 2018 Moscow Auto Show with Dongfeng Motor Corporation, Dongfeng-Fuji-Thomson Thermostat Co., Ltd. and Dongfeng (Shiyan) Nonferrous Casting Co., Ltd.
By holding talks with Nissan Russia, Dongfeng Russia, Dongfeng Motor Parts and Components Group aims to further strengthen its presence in the overseas market. 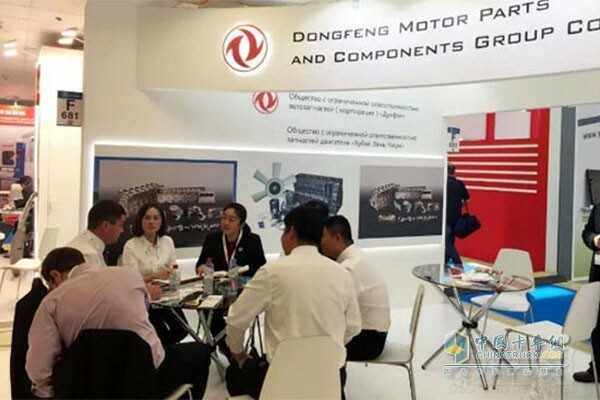 During 2018 Moscow Auto Show, over 60 customers paid visits to the exhibition booths of Dongfeng Motor Parts and Components Group, making inquiries about becoming the company’s authorized distributor in Russia. Some customers also expressed plans to visit Dongfeng Motor Parts and Components in Wuhan in the coming November.